Cars, today, are moving data centers, generating huge amounts of data points. Data that – when used and commercialized – can open up the doors for the creation of a brand-new ecosystem of IOT solutions, aftermarket services and billion-dollar revenue streams. Traditionally, OEMs and vehicle manufactures have been the largest and most dominant players in the automotive aftermarket. But the IOT revolution has finally caught up with the automotive industry, allowing new players to enter the market. They bring with them disruption, as they keep challenging existing business models and creating new marketplaces. So the question is, should OEMs join these new big data marketplaces and benefit from new revenue streams – or keep using huge amounts of resources to compete in a tech-race they might not stand a chance to win? One of the vehicles in your fleet is on the road, but an engine problem has occurred, and you need a garage and a mechanic in order to get it back on the road as soon as possible. As always, it is vital to minimize your vehicle downtime, and you also want to make sure you don’t get charged more than necessary on your vehicle maintenance bills. Automatically, your designated Connected car and Fleet Management platform informs you to take the vehicle to a pre-selected dealership, where they will be waiting for your vehicle. At the dealership you might even get a fixed discount on the services, saving you money. That is pretty smart, right? This will save your business time. It will save it money, and it will provide your vehicle administrators with opportunities to help your fleets thrive and your business grow. But, who will be deciding which garages or dealerships are selected for the aftermarket jobs in a world where the entire vehicle aftermarket ecosystem will be plugged into big data platform(s)? Well, that is the billion-dollar question, and a question both IOT solutions providers, OEMs and vehicle manufactures are competing to provide the answer to. We believe that in a very near future this answer will be given by OEMs joining today’s digital evolution of creating big data market platforms for the future vehicle aftermarket. 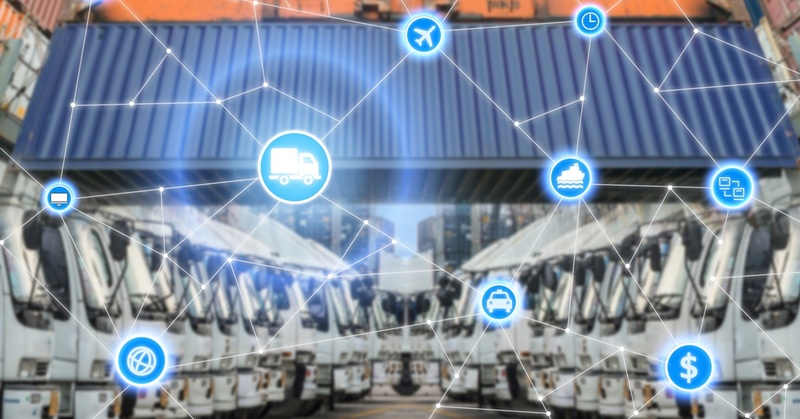 OEMs deciding not to adjust to the emerging markets of the big data and IOT platforms, such as CONNVEX by Fleet Complete, are at risk of missing out and could be looking at an ever-decreasing piece of “the vehicle aftermarket-pie”. A pie that on a global scale is estimated to generate revenue streams of a total of US $ 1 trillion by 2022. Internet of Things is one of the most used and newest buzzwords, but all clichés aside, we have only just started to scratch the surface as to what the emerging possibilities of connecting things to the internet will bring us. The possibilities in the future seem to be endless. As for the automotive industry, the race towards digitization will largely be driven by today's vehicle manufactures, OEMs, and aftermarket telematics solution providers, like Fleet Complete and other large international players. The opportunities for providing customers with new solutions and products seem endless. Imagine if you could order and pay for new auto-parts online, get big discounts on services, get cheaper insurance on your vehicles, or even develop new tailor-made solutions using the data from your own fleet? Anything related to your fleet, using only one cloud-based platform as a one-stop-shop. The suppliers with access to such a platform could provide the customers with anything from mileage-claim trip logs and fleet management systems, to ordering new oil filters, tiers, gas, and more. In return, they would gain access to a whole network of customers and partnerships allowing them to create new revenue streams for their business. But it doesn’t stop there, by utilizing driver data and contextual data, insurance companies can sell tailor-made insurances based on your driving behavior, where you live and your vehicle type. Data collection from thousands of vehicles connected to such a platform could also provide valuable information for combating traffic accidents, traffic congestion, better future city planning, improving public transport and the list goes on. Driver data and context data is today shared with aftermarket solutions providers. Many of today’s telematics solutions extract the data from the OBD II port in the vehicle. The last frontier in telematics data types is the vehicle data. Integral data about the vehicle and how it performs. This is the data that OEMs have been very reluctant to share with other players in the market. Up until now, the automotive industry has looked at the new IOT and telematics players as competitors in a future automotive aftermarket, competing for the same customers and revenue streams. That is also one of the reasons why the larger OEMs have been skeptical about opening up and sharing important key data about their vehicles. This vital data about their products can easily be commercialized. • Who owns the data of the vehicle? • Will the data of the vehicle, driver and manufacturer be protected? • To what extent should they use funds on developing their own platforms to compete against new IOT solutions providers? Join in or miss out? The answer to the last question can only answered by the OEMs themselves. But the development of creating new cloud-based big data platforms is a trend we believe will only increase. Will they risk that their competitors join in and start eating away at their market share? We believe they will join and, together with players within the telematics technologies, create the next chapter in big data and IOT solutions for your vehicles.